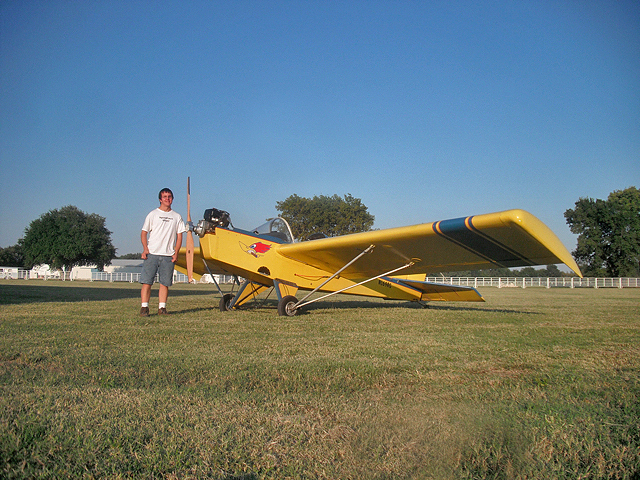 The Minimax line of ultralights and light sport aircraft have been around for over 20 years, originally designed by Wayne Ison and marketed by TEAM (Tennessee Engineering And Manufacturing). 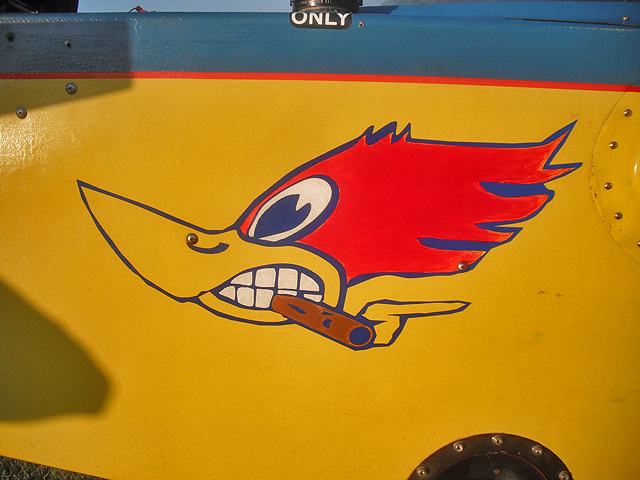 The design is currently marketed by JDT of Nappanee Indiana. 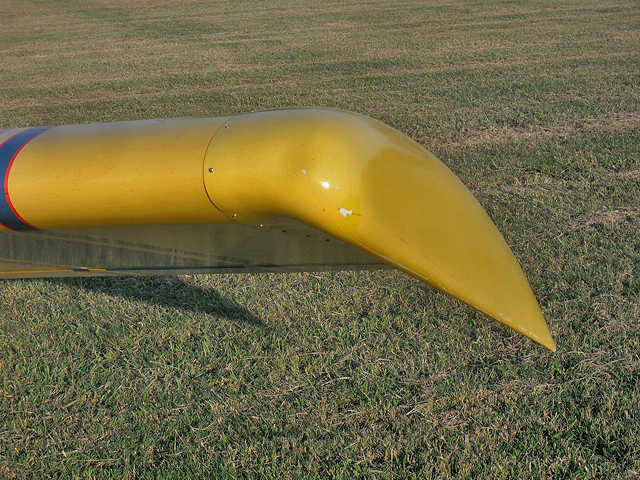 The name Minimax says it all, a simple, minimum cost, maximum fun airplane. 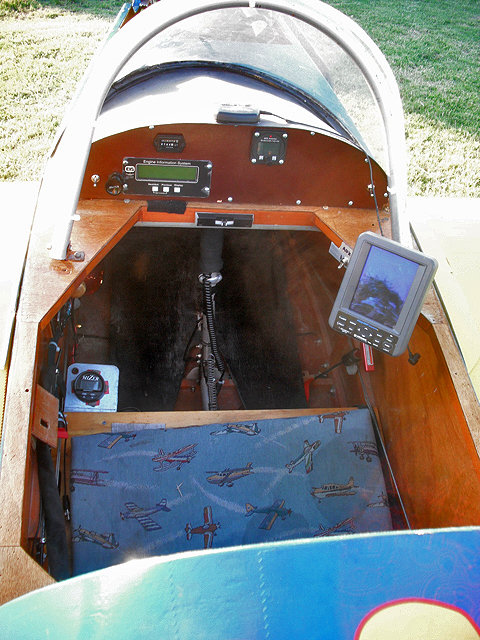 My Max is an 1100R model with the rear turtle deck modified for a more streamlined appearance and the cockpit width increased by 3 inches. I am the 5th owner of this aircraft, although it has changed hands over the last 7 years it has accumulated less than 250hrs total time. The paint is starting to show its age, but thanks to good workmanship the wood structure is as sound now as it was when the kit was assembled by its second owner. 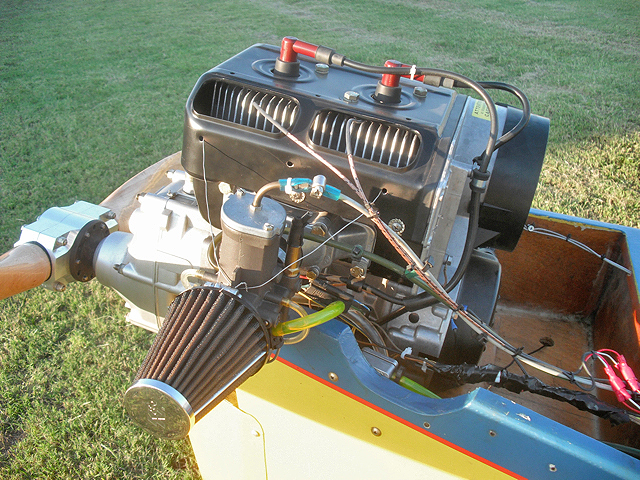 Empty the Max weighs in at 315lbs power is provided by rotax 447SCDI developing roughly 38hp and swinging a GSC 62″ ground adjustable wood prop. The 447 is fed by 3 5 gallon tanks, one in the foward fusalage and one in the inboard rib bay of each wing. When I purchased the Max the insturment pannel was cluttered with an array of round gauges, some functional but the majority inoperable. last May I remodeled the panel and installed a Grand Rapids Technologies Engine Information System, Stratomaster altimiter, NorthStar fuel flow computer, and a Lowrance Airmap 2000 GPS. The only original insturment still in the panel is the hobs meter. 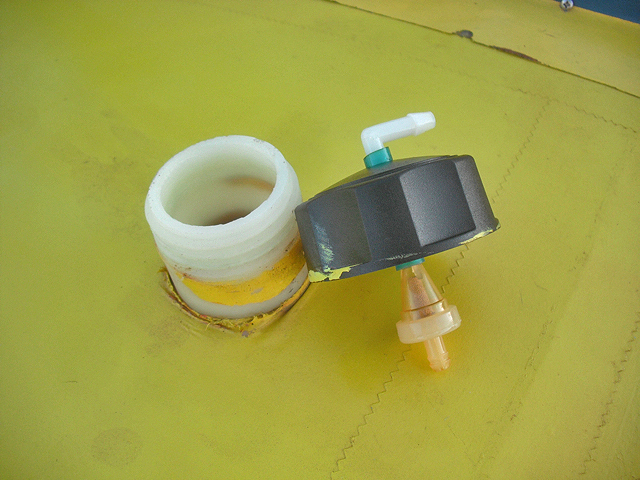 The composite Droop Tips installed on my aircraft can be purchased from either JDT or Cured Composites. Drooped Tips help eliminate the spanwise flow of air along the wing, this helps to reduce drag by eliminating wingtip vorticies. A side effect of this is less wake turbulence which results in a smoother ride for the passangers in commercial jets that happen to pass behind me! Keeping the airflow paralell to the wing chord also helps to provide positive roll control at or near stall speed. The Minimax is a fun and forgiving aircraft to fly, takeoff ocurs in about 400ft, climb at 45mph is around 500ft/min depinding on the density altitude. Best cruise is 60mph at 6000rpm, economical cruise is 50mph at 5270rpm endurance at economical cruise pushes the 5hr mark. Power off stall occurs around 31mph, the Max gently mushes foward and recovers itself, power on stall is a bit more dramatic occuring at 28mph with a noticable left wing drop. As long as you dont let the AoA become excessive the max will recover itself with less than 100ft of altitude loss. On the ground, the max is a fairly docile tail dragger although if you “3 point” the landing (my favorite way of doing it) you have to “dance” on the pedals untill the speed slows. The max is a joy to fly in the calm evening air but it has no problem with wind or thermal activity. Here in south central Kansas one gets plenty of expirience with both. I have landed the Max with a 15mph wind 90deg to the runway, just crab to the threshold and slip the last couple of feet and a good landing will follow. I have also discovered that flying the max in gusty 35mph winds is a good way to burn off extra callories from thanksgiving dinner, definately more fun than a treadmill or stair master! 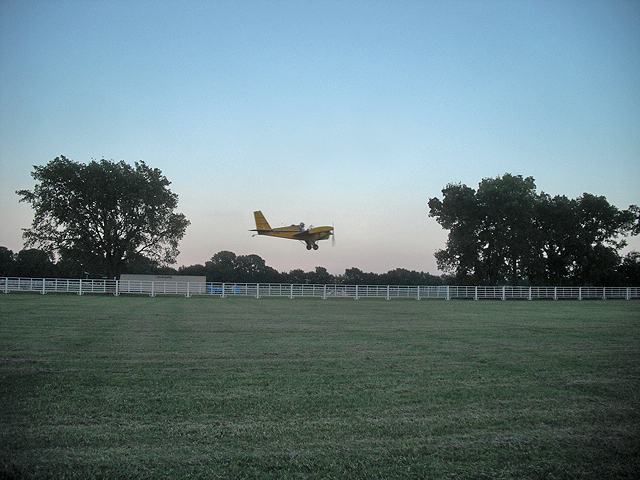 Having flown Cessnas, Pipers and Luscombes I can definatively say nothing beats flying 1000ft above the ground at 50mph with an open cockpit, pilots of spam cans and even enclosed ultralights have no idea what they are missing, to smell the barbaque smoke and the fresh mowed hay or feel the cool air above a lake or river on a warm summer evening, you just have to be there to expirience it. This flying stuff is just too much fun! !